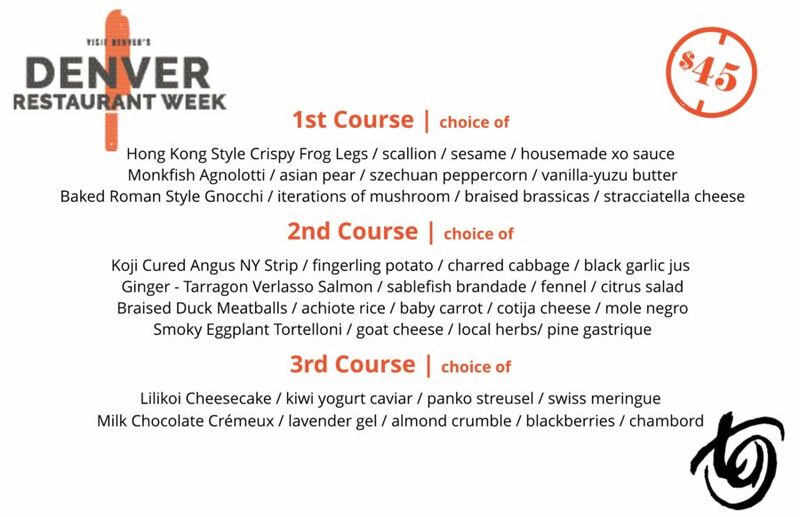 Denver Diners- Restaurant Week is back! Experience the best of TAG for $45. Delight in such offerings as Monkfish Agnolloti with Asian pear or Hong Kong Style Crispy Frog Legs, cut into a NY strip or savor the sweetness of a lilikoi cheesecake. Vegetarian options available. This event books up fast – call 303.996.9985 or CLICK HERE to book your reservations today!